Remarketing Training Workshop-Beasley Direct and Online Marketing, Inc. Learn How to Create Cross-Platform Remarketing Campaigns in an Online Remarketing Workshop with John Thyfault. John Thyfault, Vice President, Search Engine and Social Media Marketing for Beasley Direct and Online Marketing, Inc., will be teaching a live online Remarketing workshop for the Direct Marketing Association of Northern California. Remarketing is the process of reaching out to the 98% of people who landed on your website but who didn’t convert. A remarketing campaign can result in double digit response rates and 100-200% ROI if done properly. 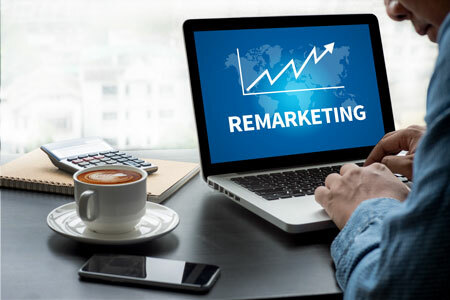 Many advertisers are not taking full advantage of remarketing though, limiting their efforts to just one platform and leaving potential conversions on the table. A well-designed, multi-platform remarketing campaign can combine different user data from each platform into a super engine for success. This remarketing training workshop will focus on the specifics of developing a cross platform remarketing plan between Google Ads and Facebook (including Instagram), but the lessons learned can be applied to LinkedIn, Twitter, email and most other platforms. Case studies will illustrate the set up and measurement of your remarketing campaigns. Remarketing is the process of reaching out to the 98% of people who landed on your website but who didn’t convert. A remarketing campaign can result in double digit response rates and 100-200% ROI if done properly. This remarketing training workshop will focus on the specifics of developing a cross platform remarketing plan between Google Ads and Facebook (including Instagram), but the lessons learned can be applied to LinkedIn, Twitter, email and most other platforms.